In an earlier post, I identified this photo as Charles Phipps on Pelee Island, but the correct identity is Charles Bradt on Phipp’s farm on Pelee Island. Do The Spelling Rules Apply To Names? I have often caught myself misspelling surnames because of the spelling rules I learned as a child. I was a good speller, always getting “A’s” in spelling, but since I’ve started doing genealogy research, I have found that some of the rules of spelling and pronunciation seem to have been broken. This one rule: “I” before “E” except after “C” or when used as an “A” as in “neighbour” and “weigh” I have a real problem with. What is the correct pronunciation of “O’Neil”, is it an “E” sound or an “A” sound? I have never heard it pronounced the way that it is supposed to sound, according to the “rules”. “Freisman” is another example of rules being broken, you can tell by the misspellings in the censuses that it was an “e” sound, I’ve never ran into any that have spelled it with an “A” sound, only “E” sounds. Has anyone else ran into this with any of their surnames? I chose to explore the “Tremblay” surname today, my great-grandmother’s maiden name. I have posted about Pierre Tremblay and Ozanne Achon, who were my immigrant ancestors. Tremblay and it’s variations is the most common French-Canadian surname, put it into Google translate and it comes back with “Smith”, the most common name in North America! The difference between “Smith” and “Tremblay” is that Smith is a common name that a lot of different families share, with no blood relationship, there was a smith in every village and hamlet in Europe, it was a “nickname”. But people with the name of Tremblay, Trombley, Trimble and variations in North America, ” in their tree, although a common name, are all cousins, descendants of Pierre du Tremble, from La Rochelle, France. My great-grandmother, Celinase Tremblay was the granddaughter of Pierre Tremblay Romain, the Seignieur of Eboullements, Quebec in the early 1800’s. She was born at Charlevois and was married to Jean Desbiens of Ste-Jerome parish. 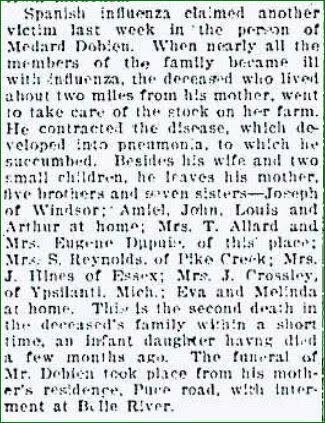 They migrated to Essex County in 1890, after the birth of their third child with Celina’s parents, Philias Tremblay and Marie-Louise Dallaire, Extended family made the journey as well, but her father died less than a year after arriving, 1n 1891. I have a lot of research yet to do on this family. 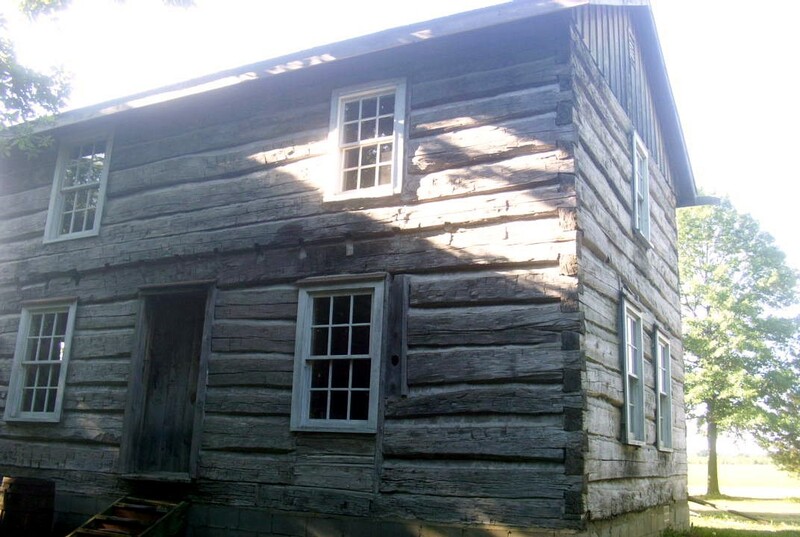 I found a few records on the Seeking Michigan website for the families that moved across the river. I have to find time to enter all of the sources and images that I’ve discovered into my database, but there’s a lot of searching left to do. I have recently found another family that I am descended from, the Smalley family from Harwich, Massechusetts. I am just starting to research this family but I’ve heard the name when reading about Plymouth Colony. I haven’t gone that far back in my research as of yet, I’ve gone back to Edward Smalle and Mary Woodward, grandparents of Hannah Smalley who married Benjamin Doane on Jan. 29, 1795 in Harwich, MA. i. JOHNATHON SMALLEY, born in 1690, married Damaris Winslow July 30, 1713. Damaris & Jonathan were the parents of five children: i. HANNAH SMALL, born 20 August 1715 in Harwich (Barnstable) Massachusetts. She married Israel Nickerson. Hannah & Israel were the parents of five children: (a) an unnamed daughter; (b) an unnamed son; (c) Israel Nickerson; (d) James Nickerson; and (e) Patience Nickerson. ii. PHEBE SMALLEY (985) iii. JONATHAN SMALLEY, born 26 May 1721. He married 2 March 1741/42, Hannah Weekes, who was born 21 September 1721 and died about 1803, daughter of George and Deborah (Wing) Weekes. 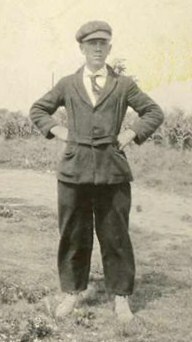 Jonathan & Hannah were the parents of seven children: (a) Elijah Smalley; (b) David Smalley; (c) Jonathan Smalley, married Bethia Godfrey; (d) Phebe Smalley; (e) Enoch Smalley; (f) Elisha Smalley; and (g) Hannah Smalley. iv. LYDIA SMALL, born 6 August 1725 in Harwich. She married Ebenezer Broadbrooks. v. DAVID SMALL, born 1729.
ii. LT. ZACHARIAH SMALLEY, born 1698, died 24 April 1778 in Harwich (Barnstable) Massachusetts. He married (as his first wife) 31 March 1720 in Oyster River (Durham) New Hampshire, Jane Davis. 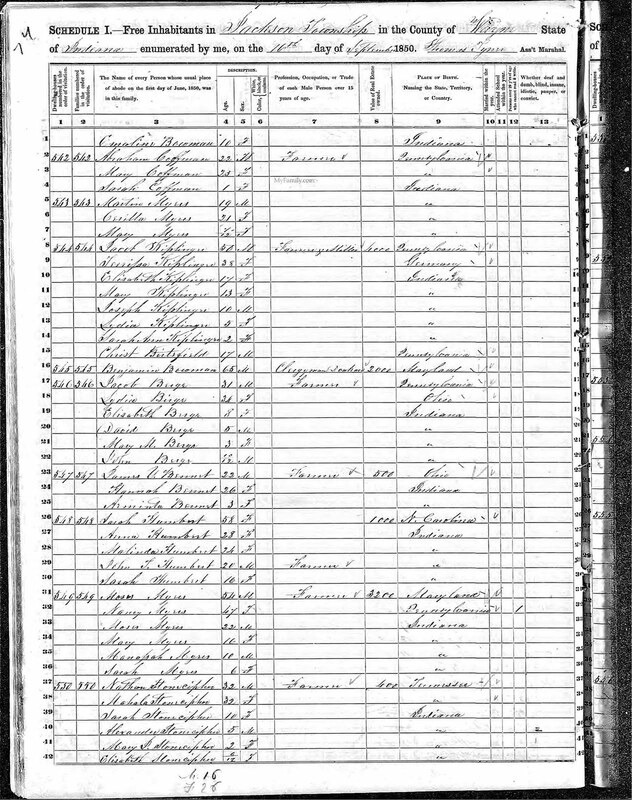 Zachariah & Jane were the parents of three daughters: (a) Mary Smalley, married Oker/Oaker Phillips, five children, Lydia, Nathan, Stephen, Susannah and Smalley; (b) Bathsheba/Bashua Smalley, married first Ansel Nickerson, married second, Gowel Chase, married third, Joseph Sears; and (c) Abigail Small, married Lot Gage. Zachariah married (as his second wife and as her second husband) after 22 May 1742 in Harwich, Hannah (Hopkins) Paine, who was born 25 March 1700 in Eastham (Barnstable) Massachusetts, and died 24 October 1793 in Harwich, daughter of Joshua and Mary (Cole) Hopkins, and widow of Capt. Ebenezer Paine. Zachariah & Hannah were the parents of a daughter: (d) Jane Small, married John Long, six children, Zachariah/Zachery, Abigail/Abijah, Ebenezer, John, Sarah and Jane. iii. BENJAMIN sMALLEY married 29 June 1726, Patience Baker, who was born 27 February 1708/09.Patience was a midwife. She died of a broken neck when she fell off her horse while on her way to assist in the delivery of a baby. According to DNA test results, Edward Smalle was not related to John Smalley of Plymouth Colony and Nauset, Massechusetts. Internet Archive has been around for a while, but have you taken advantage of this resource for your research? There is the “Wayback Machine” which the site is well-known for but have you looked around to see what’s actually there. There are over 10,000 items in their Genealogy Collection, just select “Texts” and “Additional Collections” and you will find a page of several collections. “Resources include books on surname origins, vital statistics, parish records, and other historical and biographical document”. Internet Archive have several projects that individuals and organizations can get involved in as well. One of them is the Scanning Service with open and free online access, permanent storage, unlimited downloads and lifetime file management. Besides media, did you ever have a program on your computer that you liked, but it isn’t available anymore? Check out the Software page, you might find it there. I have always known that the members of the Doan Gang were related to me, I assumed that they were related through Titus Doan, Jr., my fourth great-grandfather, who was a first cousin of the Doan Gang. His son, Isaac Doan, was born in 1802 in Humberstone Twp. and married Polly Charlotte Doan. I have recently found out that Polly was the daughter of Aaron Doan, one of the members of the Doan Gang! captors, Joseph McClennan and Amos Ogden, to the jail in Philadelphia. My mother was very pro-Canadian and anti-American. When I was researching our family history she was quite dismayed when she found out that some of her ancestors were American. She had the mistaken notion that there was only Scotch and Irish blood running through her veins. 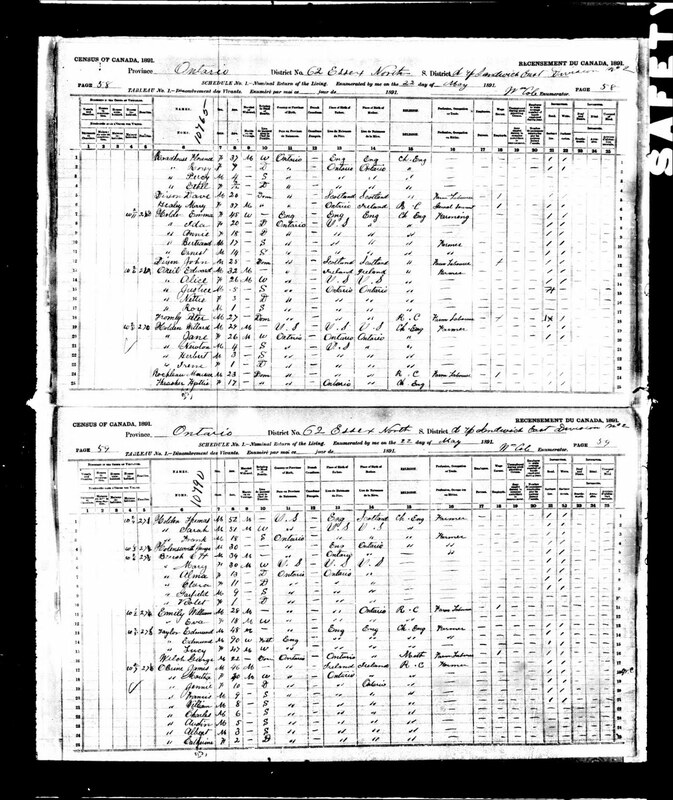 Sarah Stonecipher was born in Wayne County, Indiana in 1840, first child of Nathaniel and Mahola Humbert Stonecipher, and lived there until she came with her husband, Thomas Holden’s family to Sandwich, Essex County, Ontario after the birth of their first daughter, in 1861. 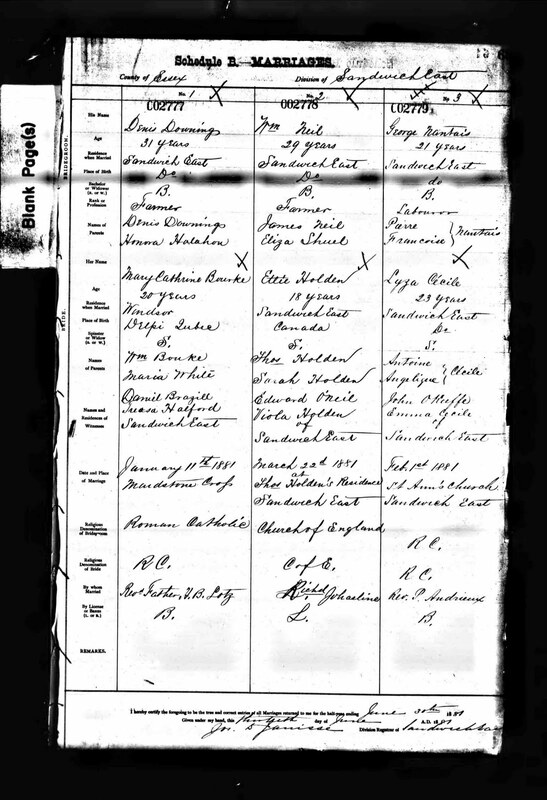 Sarah and Thomas Holden’s daughter, Rosetta Holden, born in 1862 in Sandwich, Essex County, was married Mar. 22, 1881 in Sandwich to William James O’Neil. Sarah and Thomas Holden might have lived at one time in the house built by James Holden family in the early 1860s, first located in Sandwich, but recently disassembled, moved and reassembled in Heritage Village, Essex County. 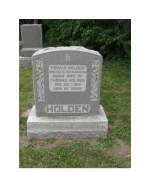 Sarah Stonecipher Holden died on New Years Day in 1923 in Sandwich South, Essex County. Searching for family history is really addictive, the more I learn about my ancestry, the more I need to know. I am interested in how they lived, what their daily lives were like, what style of clothing they wore, what they did to entertain themselves, their beliefs, both religious and political, well, everything. I have some unanswered questions which may never be answered such as “Why did my great-grandfather change his surname a century ago?” and “Who was Sarah’s mother?” I have two Sarah’s with unknown mothers, they are huge brick walls but I’m trying my best to break through them. Family History research is very similar to detective work, you have to weed out the false leads and dig into people’s backgrounds, and find out as much as there is about them. Once in a while, if you’re lucky, an ancestor may become famous or infamous and there are lots of records available. Most of the time, however, the ancestor is only recorded in the census, vital records or passenger lists and immigration records. My fondest memory of my dad’ silver buckle was the day of my first wedding. I was young, only seventeen, and my mom made my wedding dress. It was made of white satin and had a chantilly lace cape instead of a veil and train. The crowning touch was the silver buckle that my dad let me use for my dress. The silver buckle was the ‘something old’ and the ‘something borrowed’. To think that my wedding day was the first time the buckle had actually been worn in over a century! It was quite an honour and I wore it with pride when my dad walked me down the aisle. I am researching my family history so that my grandchildren will know about their ancestors, where they came from, why they left their homeland, how they lived, what they did in their leisure, what they were like, well, everything. I want future generations to know all about our ancestors. My family history is my ‘silver buckle’. It seems like summer just arrived and September is here already! Traditionally, September is a busy month for most people, a change of seasons, harvest-time, and the beginning of the school year. It will be a busy month for me as well, it’s time to get back to some serious researching. I am setting a goal for the month of September of researching my family history for 2 hours a day, and see if I can’t break through some of my brick walls. I have a lot more records to find and information to verify on my Fairbairn line, which should keep me busy. My database has increased from a little over 200 to over 1900, so I think I’ll set a goal for 1 year to finish this. I have noticed a Fairbairn-Freisman mariage which I would like to check out. The surname is rare and my 2nd greatgrandmother, Sarah E. Haines’ maiden name was Freisman. I want to do some more research on my loyalist ancestors and those of my husband too. I have to find and gather together sources for my Haines line from the Mohawk River valley and Doan from New Jersey and PA lines. 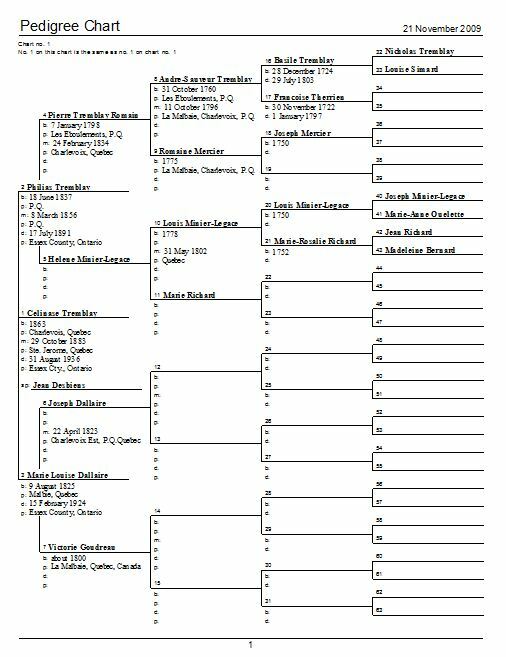 I may be able to find more information and break through some brick walls, like what my 3rd greatgrandmother, Lydia Haines’ maiden name was, or what my 4th greatgrandmother, Mrs. Joseph Haines, Sr.’s name was. My husband’s loyalist ancestors include the Bradt, Van Alstine, Burtch and Hoover lines, but he’s not interested in certification at this time. I will have more information about what is entailed in seeking certification after we attend the UELAC branch luncheon, on the 19th. of September. 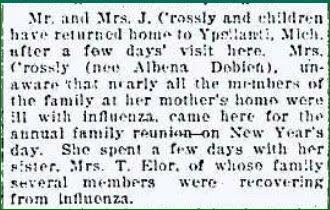 I have also recently found more information about some of my grandmother, Josephine Desbien Hines’ siblings from an obituary in the newspaper archives. I have a lot of researching and filling in blanks for her family as well. I hope that I can find some information about the family who moved to Michigan. I think that this research and blogging should keep me busy for a while. Hopefully, I will be able to get more accomplished this month. I am busy with as much of the last-mintute preparations for the family reunion this weekend as I am able to do. My cousin is going to be here on Sunday, she’s driving here from British Columbia, they left last Sunday. We have to get together next week and finalize all ot the details. She has to pick up the T-shirt order, there were enough orders to get the T-shirts at a great discount, so there will be plenty extra for sale at the reunion. I bought the blank CDs and DVDs and jewel cases online to make photo DVDs of scanned old photos and reunion photos and Rootsmagic4 shareable CDs. I made enough in my yardsale to pay for them. I will be able to make copies at a bargain price, much less expensive than if I would have printed out Family History books. Family History books can be printed from the CDs for anyone who would like one as well as all of the other features of Rootsmagic4. I will be printing a small number of the photos at the reunion as well, if requested. I went shopping the other day for Raffle Items. I bought some large Seagrass baskets on sale 75% off, and am filling them with different theme items. I have one for Bar-b-Q (Meat thermometer, planks, salt/pepper grinder, grill brush, grill set, etc. ), I’m making a Scottish theme (Tartan Coaster set, Family History Book (to be filled in), some tins of cookies, Scotch whiskey, smoked fish, etc.) , a Picnic theme (linens, plastic dishes, pitcher and glasses, condiments, thermos, coolers, citronella candles), and an Summer Activities theme (fishing rod, tackle, badminton set, frisbees, beach toys, kite, etc.). 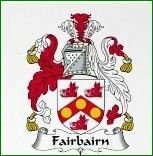 I’m hoping the proceeds will pay for at least one DNA test for the Fairbairn Surname DNA Project. We aren’t going to be camping but I’m going to take a tent and set it up as a “Welcome” tent, to get name tags, information, wall chart, first aid and have a couple of tables, one for the Raffle items and tickets and T-shirts, one for the PSC and my laptop, I will be spending a lot of time here. I am going to have coffee, tea, lemonade and baked goods there also. I’m going to be busy doing some baking this week. I’m making cupcakes for the kids to decorate with Hallowe’en theme candies. I will be gathering some decorations for the Hallowe’en theme weekend at the park as well. I’m going to be taking a skeleton, and a hammock, Christmas lights, solar lights, and a variety of small decorations to put up around the group campsite. In keeping with the Hallowe’en theme, we may even tour the Fairbairn Family Cemetery after dark!